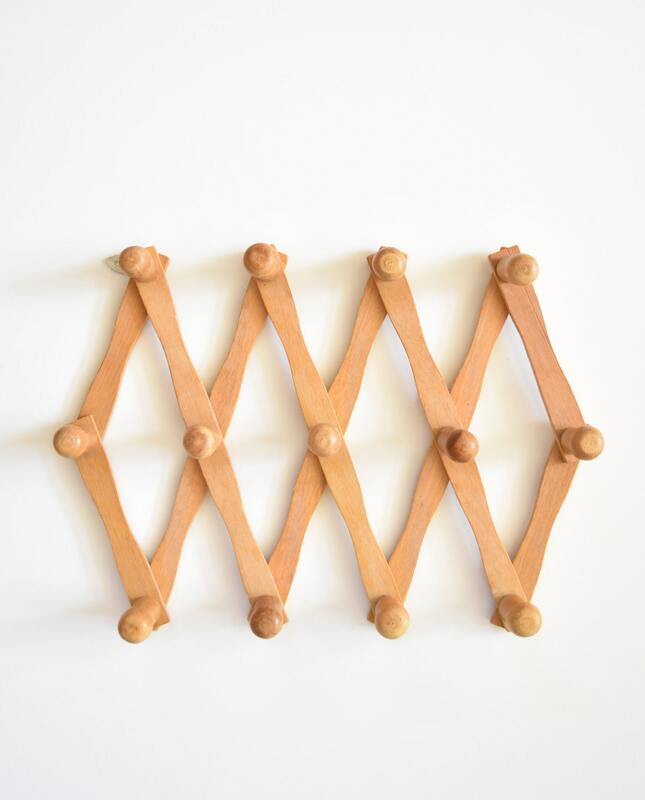 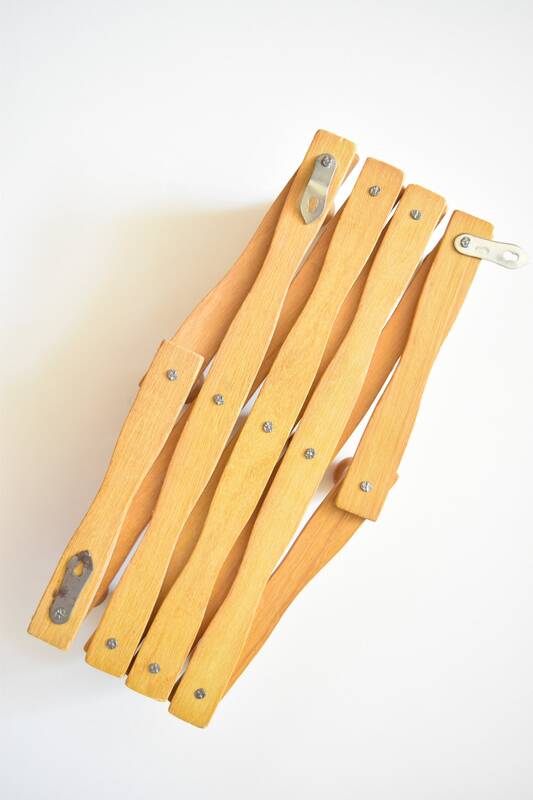 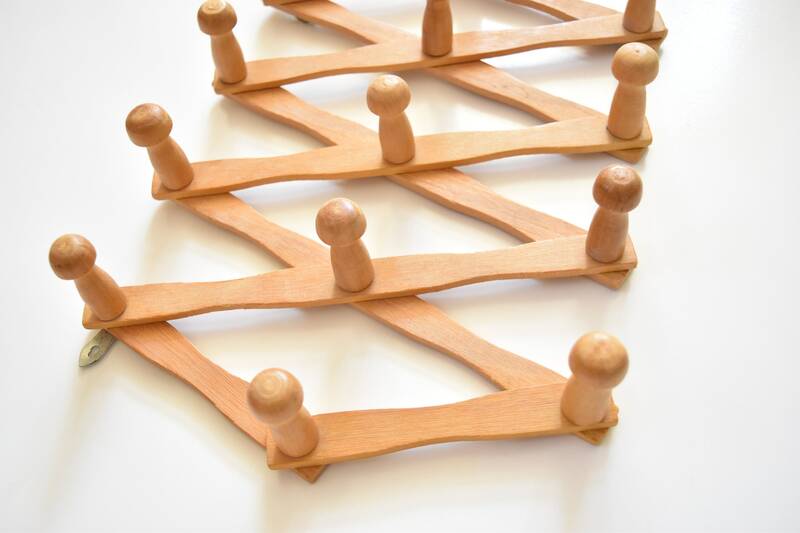 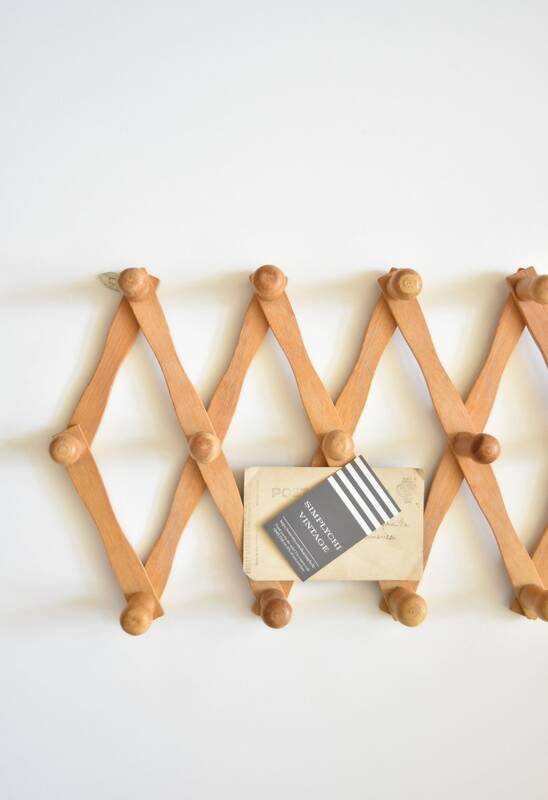 Natural light beige wooden peg wall hanging rack with 12 hooks. 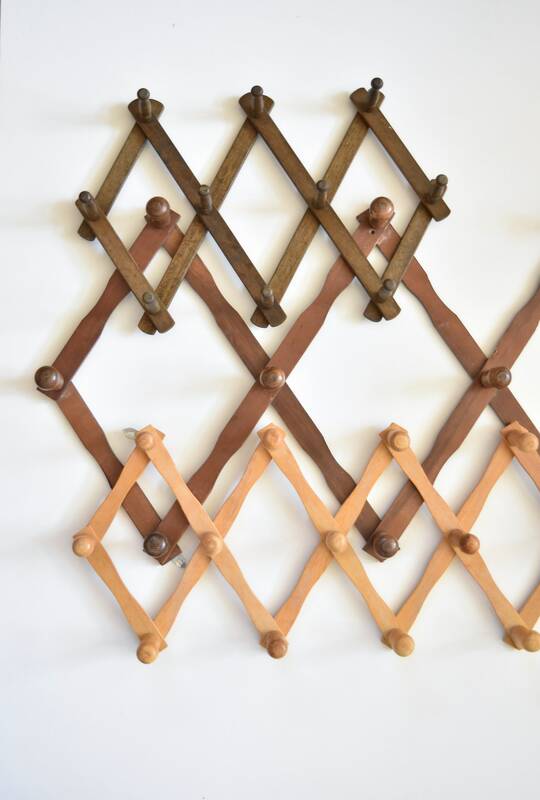 Most racks have 10 hooks. 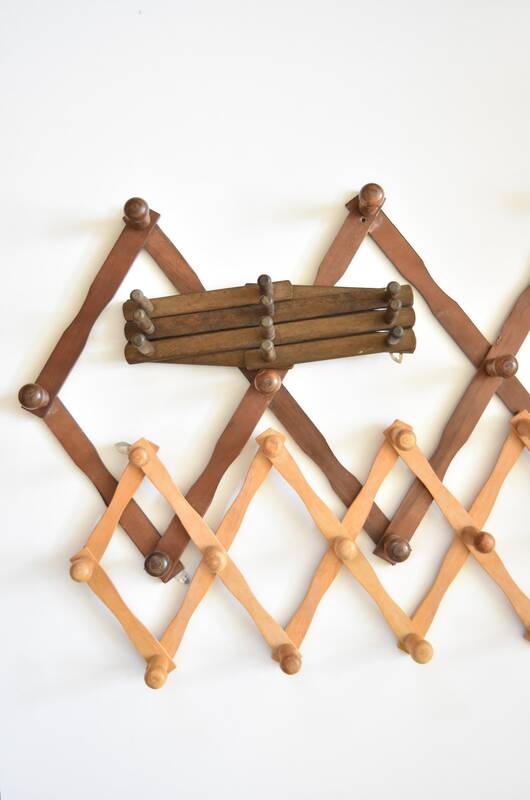 Metal hardware on the back for wall mounting. 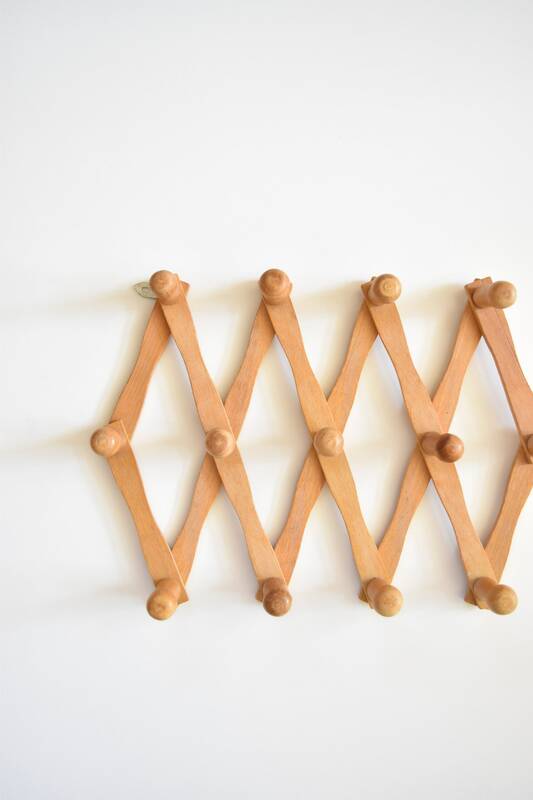 In good condition with age appropriate wear.